Abena specialise in providing products and resources to the medical and care provider community and often sell direct to NHS trusts. 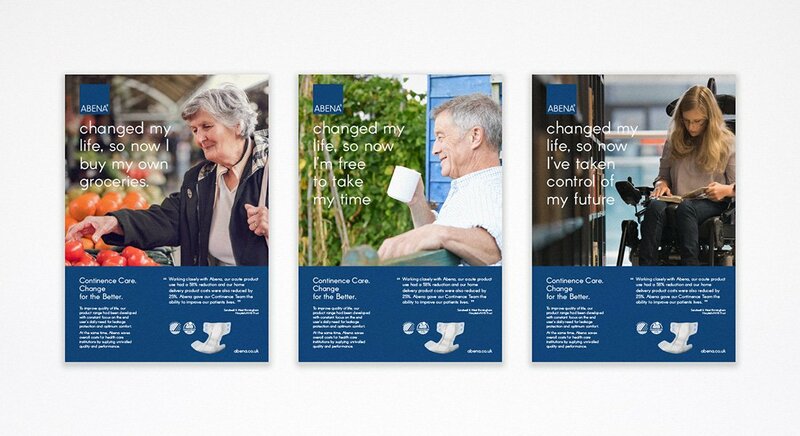 They approached us with the task of increasing their market share in incontinence products while solving the problem of being unable to advertise directly and overtly to NHS buyers. Traditionally, NHS trusts discount all marketing and advertising from influencing their buying decisions. 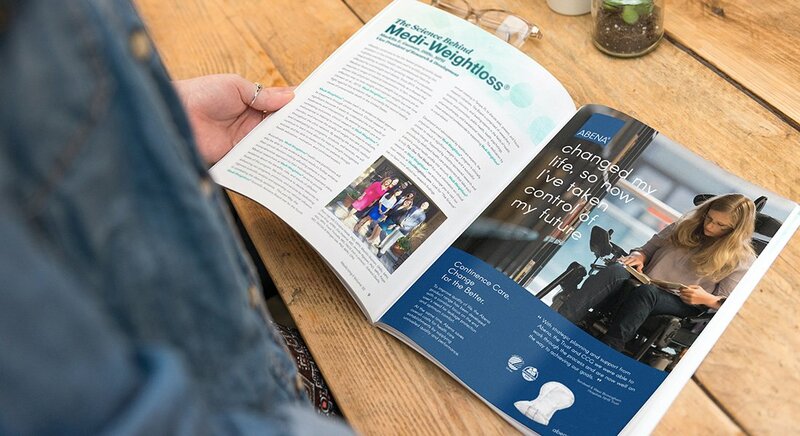 This required creative thinking, the use of consumer psychology and an unconventional approach. We love a challenge. 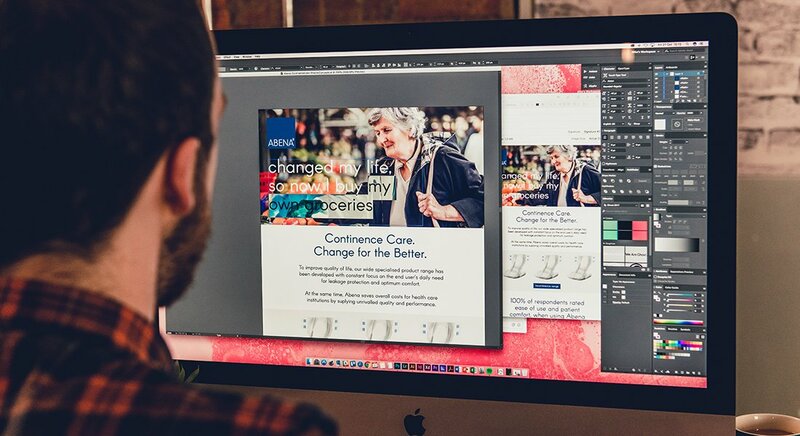 We evaluated Abena’s current marketing strategy, advertising materials and identified why current offerings weren’t returning the desired results. We then took this research data to create an alternative marketing route for Abena. Instead of focusing on direct and information heavy tender bundles, we turned our attention to building brand awareness and recognition through peripheral marketing with a campaign message that heavily centred on the ‘quality of life’ that Abena’s products help restore. By identifying which NHS trust tenders were coming up for renewal in the coming months we were able to pepper the area surrounding the hospital with billboards and posters to place Abena on the trust board’s radar. 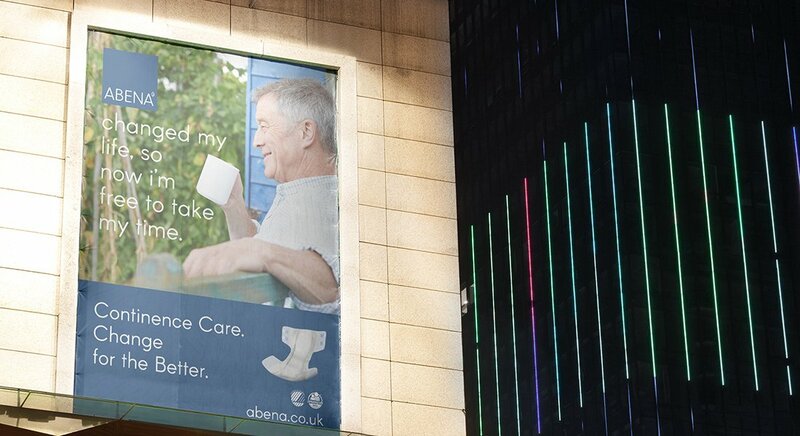 We also supplemented this peripheral campaign using digital marketing and advertising on carer centred websites and forums to encourage word of mouth discussion and peer to peer endorsement of Abena products. We then simplified their tender approach by removing superfluous information and excessive test passages to keep trust members attention and focus and help streamline the decision process. The result was a cohesive, cross platform campaign that gave Abena a stronger foothold in the medical supplies industry.